Accidents in which cars or even large commercial trucks strike pedestrians often have terrible consequences. Severe injuries are a frequent outcome. Sometimes, the injuries are fatal. These are heartbreaking and deeply tragic events. If something like this has happened to you or a family member, we are truly sorry. We know that there’s a lot to deal with after a serious accident. It can seem like seeking compensation from the parties who caused your injuries should be completely put off until later. Your feeling is definitely understandable. Yet, we do believe that if your auto pedestrian accident was the result of someone else’s negligence, moving rapidly to start the legal process is essential. It likely will bring in your settlement money sooner, which reduces financial stress in the long run. Just as importantly, delays in getting the process started can also result in a loss of physical evidence from the accident scene and fuzzier memories from witnesses. Also, if the car involved in your accident was a government-owned vehicle, then the California statute of limitations is reduced to a mere six months to take action. We encourage you to call us now at 800-991-5292. 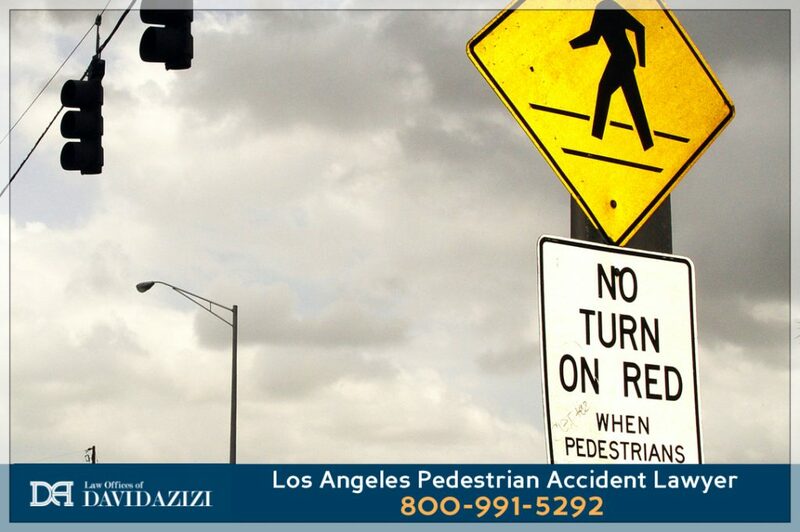 Any time of day and any day of the week, 24/7, we will connect you with attorney David Azizi quickly for a free consultation about your pedestrian accident. He has helped many Los Angeles-area victims and their families since the late 1990s. David will discuss with you the specifics of what happened. He will give you his honest assessment as to whether you have a strong enough case to take legal action. If he does take your case, David makes you a promise: Until you win, you don’t owe him a penny. With his outstanding success rate, we’re confident David will help you like he’s helped so many others. There are two qualities that make David second to none among personal injury attorneys in the L.A. area. First, he is highly experienced and effective, as numerous clients can testify. Second, even after nearly two decades of practicing law, he still gives each client individual attention. Since 1998, David has been working extremely hard to help victims of a pedestrian-car accident to get the settlements they deserve to cover these and other costs. Not only is he highly experienced, but highly effective, winning cases at an outstanding 98-percent success rate. David’s peers agree that he’s one of the top attorneys around. He has a “Superb” rating from legal services company Avvo for personal injury and car accident cases, and Expertise.com just named him one of the Top 20 Personal Injury Lawyers in Los Angeles. Most recently, the prestigious Super Lawyers organization selected him for the sixth time as one of Southern California’s outstanding attorneys. David’s experience and effectiveness are unsurpassed in the L.A. area. There’s also a second reason that his clients have appreciated him so much. David is also appreciated by his clients because he gives each one individual attention. Many other law firms reserve their attorneys with David’s experience and success rate for bigger cases. That’s not how we work. When you hire the Law Offices of David Azizi, you hire David himself. While David does have an excellent staff to assist him, he gives his personal attention to each individual client. He knows that as a victim of a serious car-pedestrian accident, you are dealing with a lot of difficult things. So he works hard at explaining each step in the legal process to you. He also looks ahead and works to prepares you for issues that may come up at trial. David gives each client his cell phone number. He knows you will have questions, and he is committed to being available to discuss and explain whatever aspect of the case you are wondering about. He also is genuinely concerned for his clients. Even after years of practicing law and countless cases handled, he still feels sympathy for each one. As a married father of three young children, he feels it particularly when a case involves a child. We want to express again that we are truly sorry for what you are experiencing as a result of the accident. 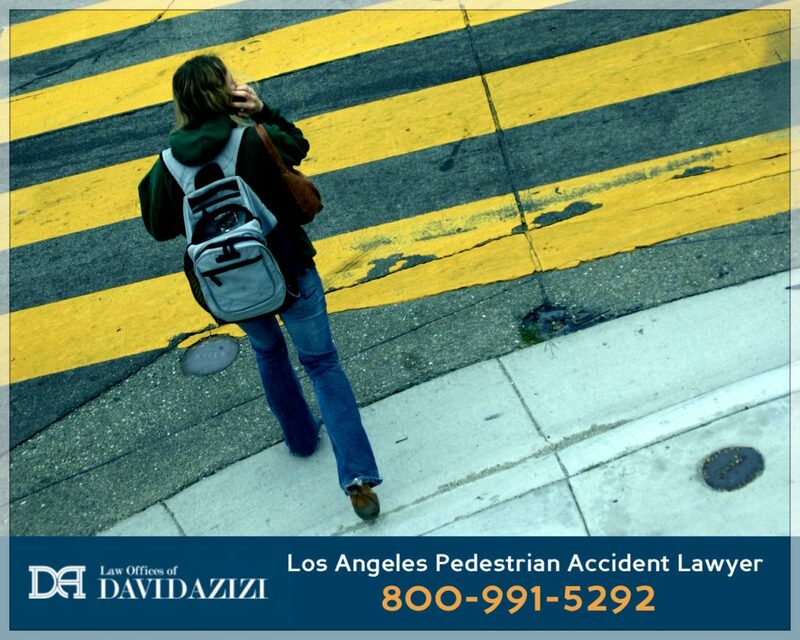 In the Los Angeles area, you can trust David as your pedestrian accident attorney. He will represent you with excellence as he fights for the compensation you need to cover the high costs of your loss. His experience and track record, along with his individual and personal involvement, are two reasons he can help you. Call us now at 800-991-5292, and we will get your free consultation with him started. David is looking forward to hearing from you.